The Garza family's grain-free tortillas will fit into any healthy lifestyle. Everyone knows what a tortilla is. These thin, bread-like wraps, generally made from corn or flour, have been around for thousands of years. Modern Mexican restaurant chains like Taco Bell, Chipotle, and Illegal Pete’s make their money on the things, often providing options such as white or whole wheat. Here Are 12 Ways Chipotle Is Trying to Win Back Our Trust. For some people, though, white and whole wheat aren’t options. One third-generation Mexican-American family from south Texas underwent a dietary revitalization when they found out one of them could no longer eat corn. When Veronica “Vero” Garza was diagnosed with multiple autoimmune conditions (including lupus), she adopted a grain-free, anti-inflammatory meal plan. Prior to her diagnosis, she as well as the rest of the Garza family had enjoyed both flour and corn tortillas the way that many families do. When they learned that Vero could no long consume them, they all decided to make a change. The Garzas supported Vero by adopting a grain-free lifestyle and beginning to exercise together. Vero replaced their beloved flour and corn tortillas with grain-free tortillas, some made from almond flour and some made with such enticing ingredients as coconut and cassava. When the family’s matriarch, Grandma Campos, confessed that Vero's grain-free tortillas tasted even better than the homemade flour tortillas she had been making for decades, the family realized they had created something special. Thus, their grain-free tortilla company called Siete was born. 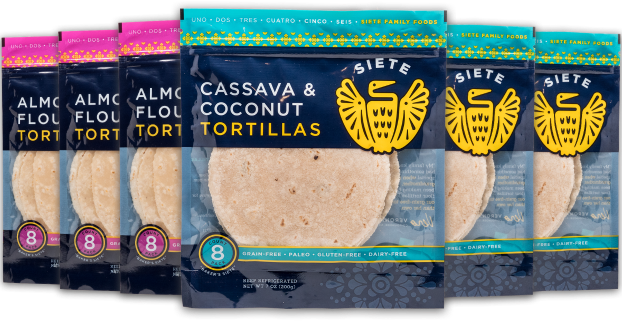 Based in Austin, Siete currently offers grain-free tortillas in Almond Flour and Coconut & Cassava varieties. Each variety is gluten-free, paleo-friendly, non-GMO, dairy-free, and preservative-free. Ideal for cooking or snacking, the tortillas taste, fold, and hold like a tortilla should. 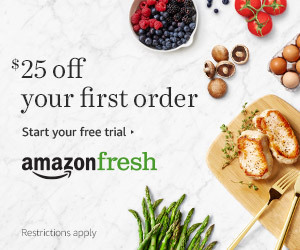 The brand, which officially launched two years ago at a small co-op in Texas, is now available in the southwest, Rocky Mountain, Pacific Northwest, and mid-Atlantic Whole Foods regions, as well as other natural retailers across the country. It is coming to NYC in the next few weeks. Click here for a protein-packed Migas estilo Siete recipe. Looking for the Garza’s Salsa Fresca estilo Siete recipe? Check it out here. Primal vs. Paleo: Which Is the Better Diet? This Beef Chorizo con Huevo estilo Siete is simple, healthy, and grain-free.